Clearly as time goes on, the Azonto love is not dying. 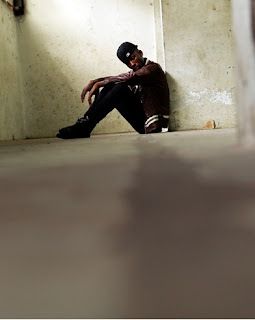 A recent Azonto hit is the song 'Azonto Girls' by Looney the TKR. Looney, who is also known as African-Man Too-Known-Rapper, was born in Accra and became involved in music at the young age of 7. While growing up he listened to a variety of music styles ranging from rap, soul, jazz and reggae, all of which I'm sure influenced his musical style in some way or another. Earlier in his career, Looney partnered with many of musicians to create various mixtapes. His single called “Gimme dat” was later followed by another single called “African-Man”, which gave rise to his nickname: African-Man ‘Too-Known-Rapper’. The recent song 'Azonto Girls' is purely Azonto inspired and is indisputably Ghanaian. If you like his style, grab a free download of the song below and be sure to keep up updated on his upcoming debut album via his Facebook. Azonto on!